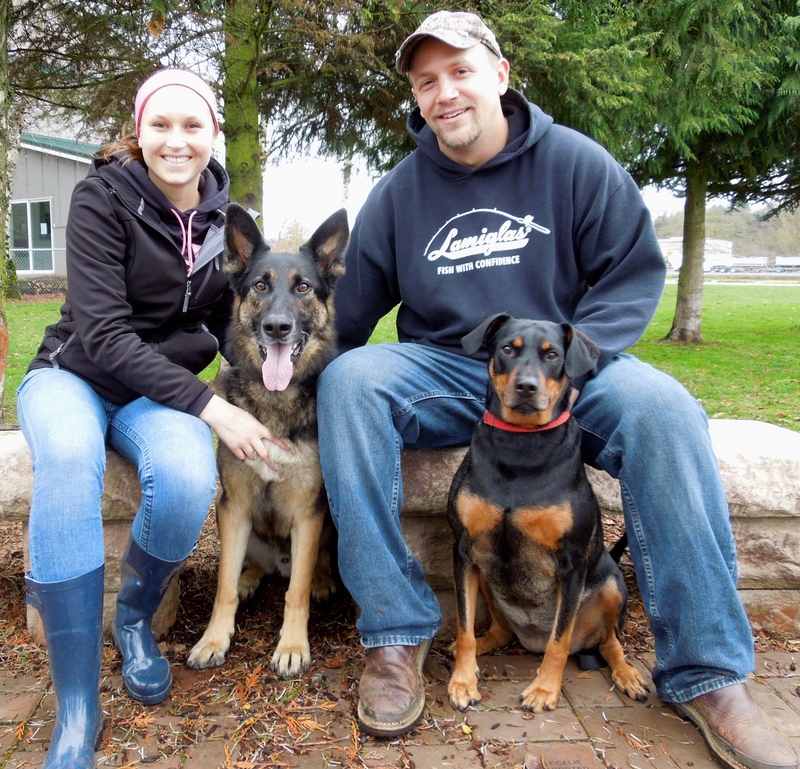 The year 2015 is starting out with some great dog adoptions! There were twelve dogs who are starting the best year of their lives. Of these, there were five Blog Dogs. I happened to be at the shelter when Mya’s new family met her. She and new brother Mikey got along great and the deal was done! 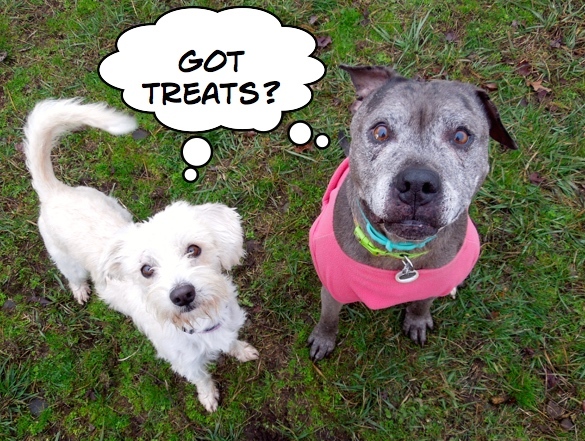 It is a wonderful match and Mya is a very lucky dog. Her family reported that evening that brother and sister were relaxing at home. You may notice the serious look on Mya’s face. This was after she realized I had no more treats left! 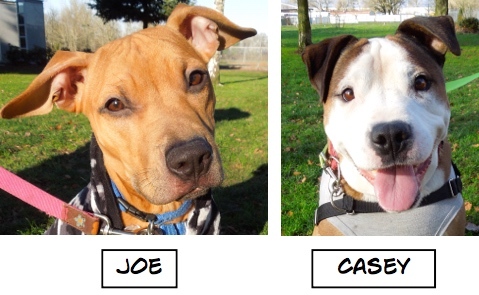 Sunday’s playgroup was very busy, so I didn’t get a lot of pictures, but I did get these two. 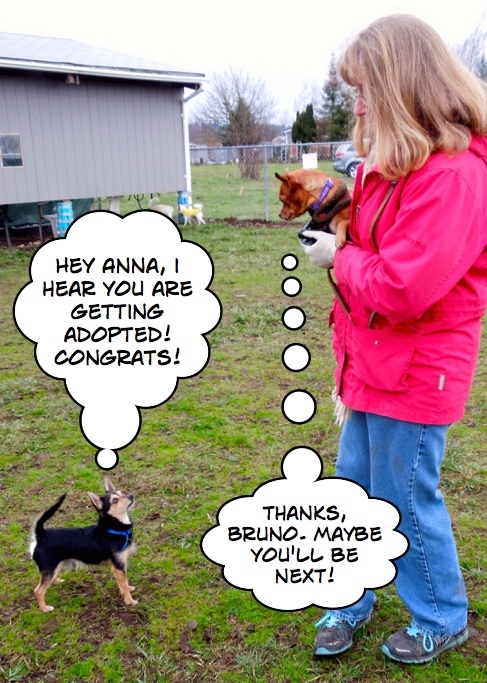 Bruno had just found out that Anna would soon be going to her new home. Remember Cassidy from a while back? 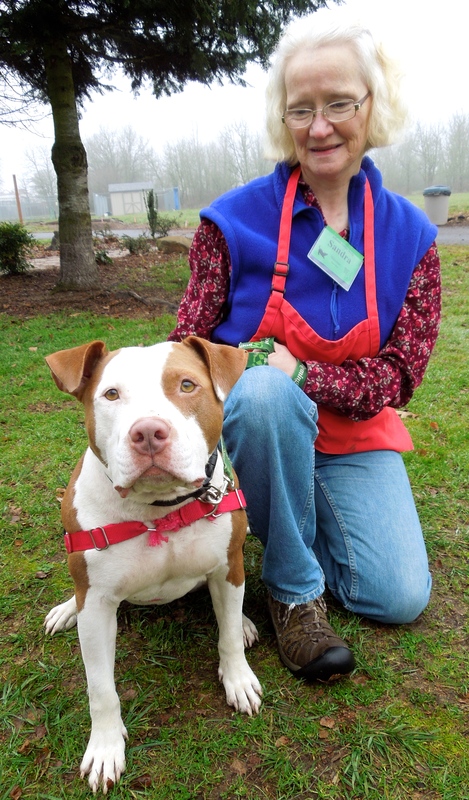 You may recall that volunteer Marianne adopted her (we were all thrilled), named her Patience, and sometimes brings her to playgroup. She and Timmy saw me reach into my volunteer apron pocket for my camera and this is what they did. I laughed out loud. Now I’m starring in my own movie! If you are a regular reader of my posts, you know that I have featured Nico many times since he arrived at WHS last July. This boy has become a favorite of many at the shelter, including me, though he does have a few issues that a knowledgeable adopter needs to be aware of. 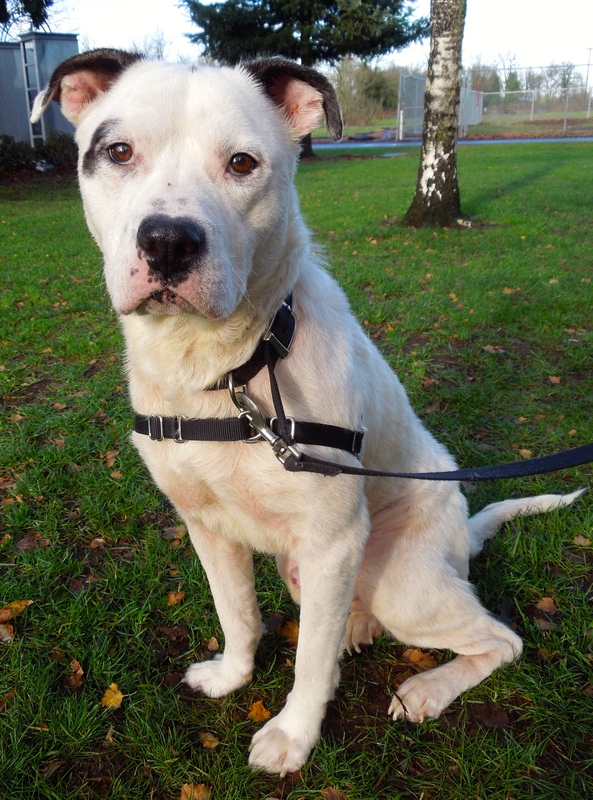 But Nico is so worth the effort one will need to make to ensure his success in a new home. I decided that maybe if people could see how smart and what a wonderful people-dog he is, the right person would realize they need a new best friend. 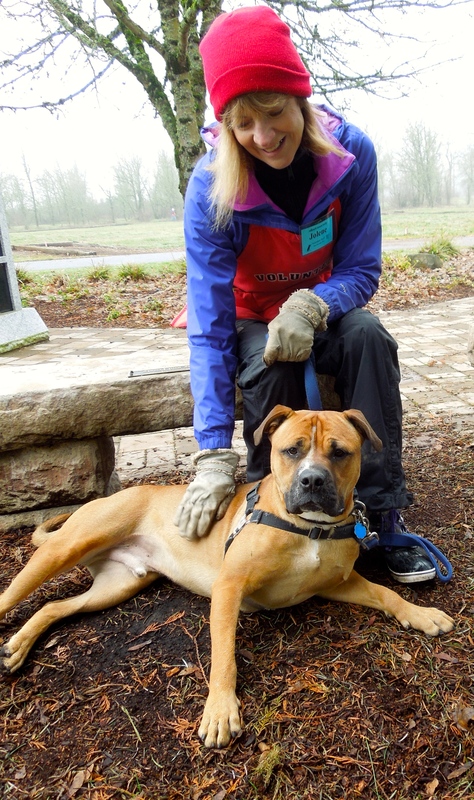 Volunteer Linda has spent a lot of time working with Nico. I was here once before, I’m hoping for another loving family! 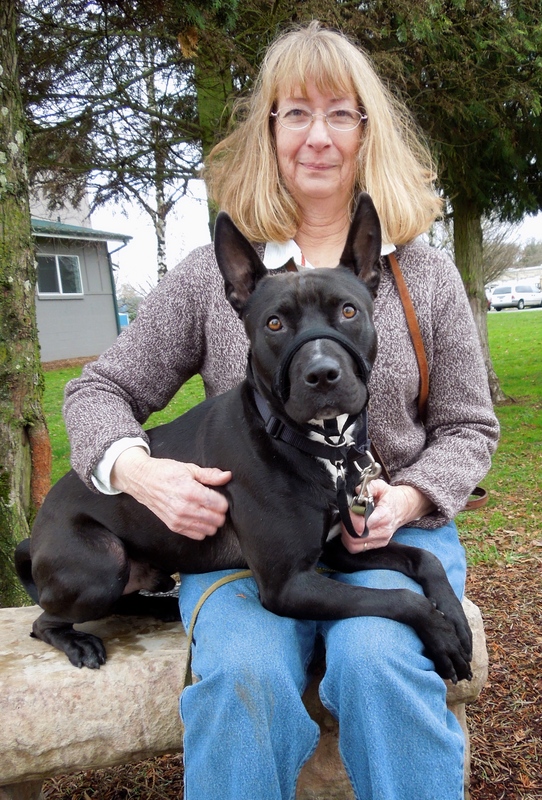 Dobie is a three-year-old Pit Bull Terrier mix whose family loved him but, because of their work schedule, felt that Dobie wasn’t getting the attention he deserves. They surrendered him hoping that he will find a new family who can give him an active, happy life. This is Dobie’s second time at WHS. I first wrote about him in my blog last October when his name was Rascal. 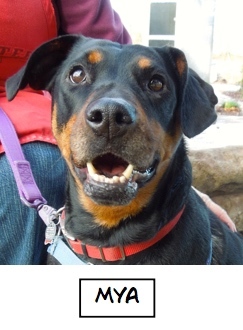 Dobie is house-trained and treat-motivated so it will be easy to teach him new things; and, he is affectionate. He’s such a handsome and loving dog. I hope he’s adopted very soon! 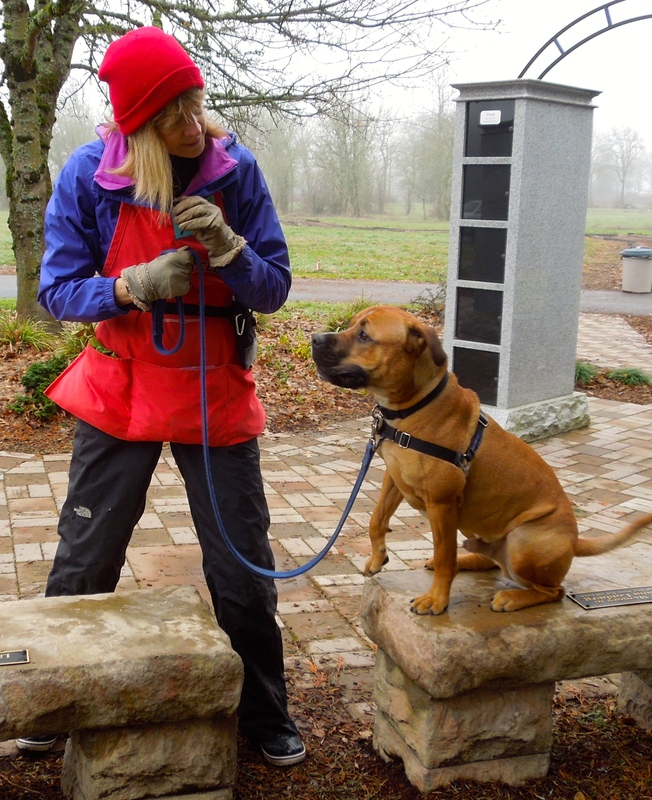 Here he was on Sunday with volunteers Katalin and Laslo. 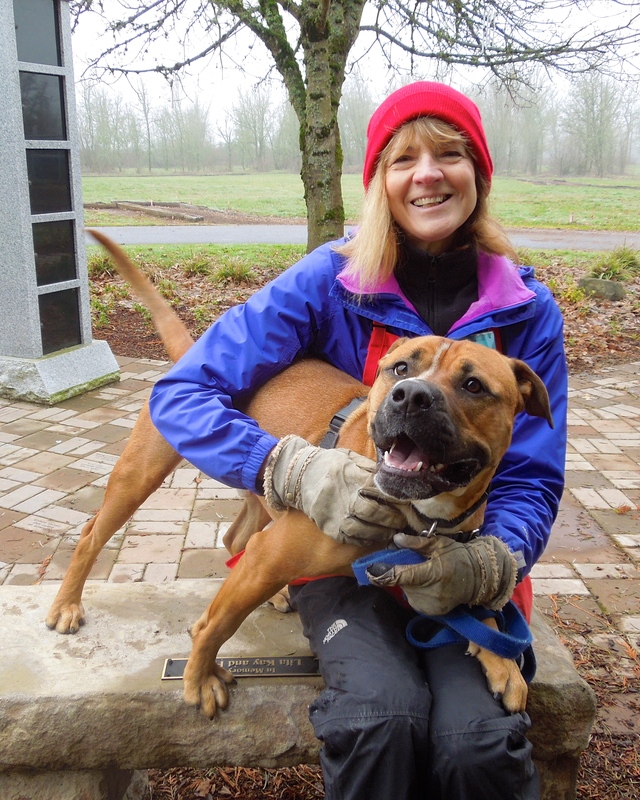 Here he was today with volunteer Sandra. I’ll be a great hiking partner! Let’s get going! Remember Duke from last week’s post? 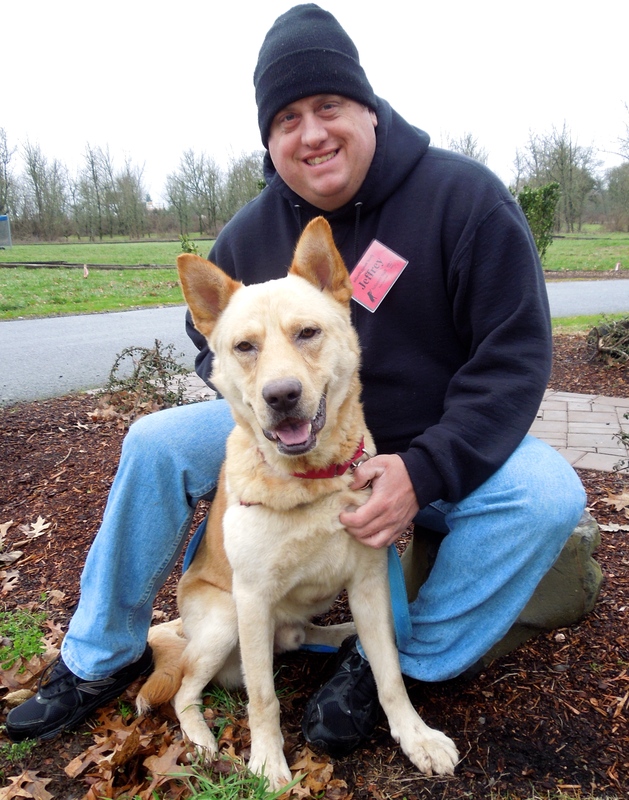 He’s a two-year-old Chow Chow/Lab mix and is a very handsome boy with lots of energy. 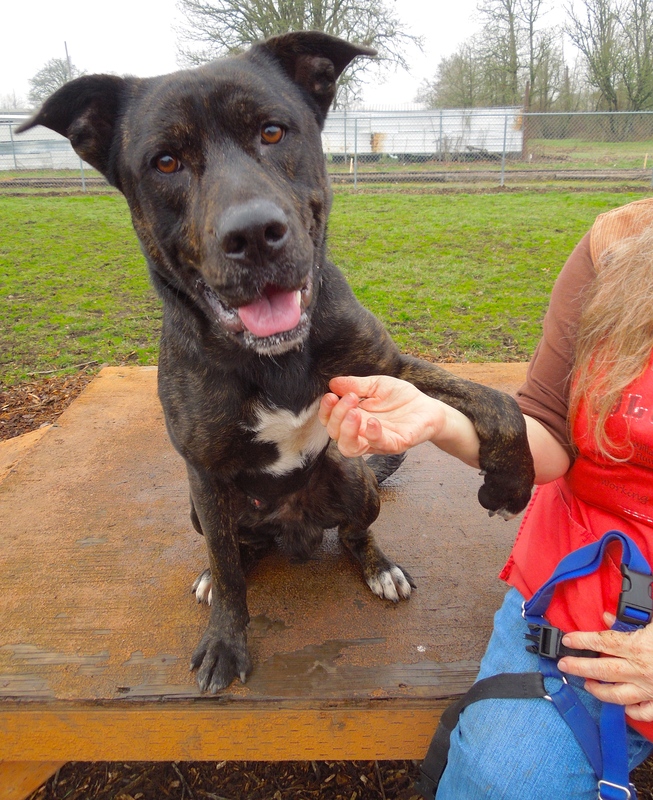 His kennel presentation isn’t the best, so he is located in the stray kennels, but is still very much adoptable. He loves to go outside and walks on leash politely. 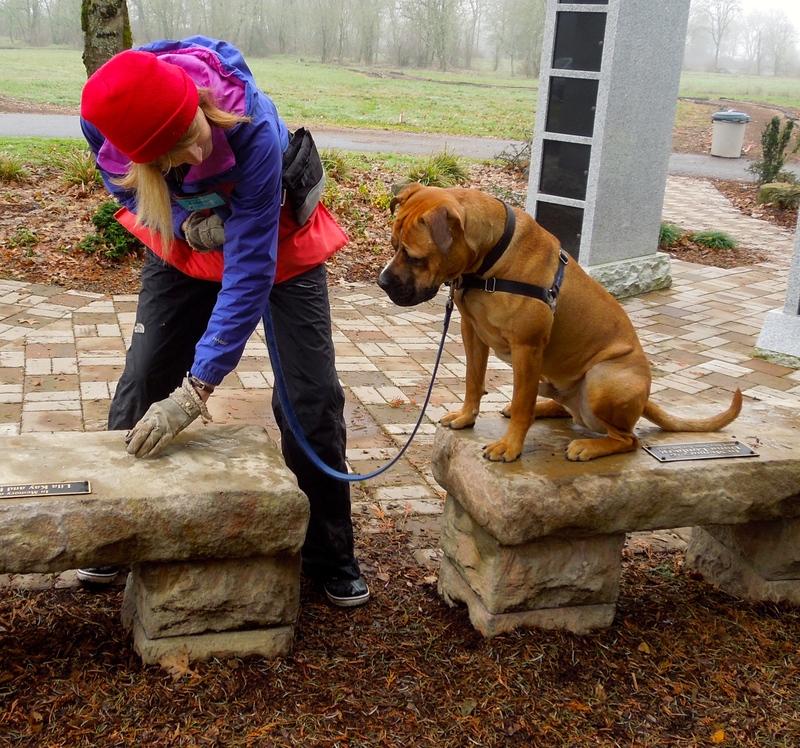 He is very food-motivated and is a quick learner, so training him will be both fun and easy. 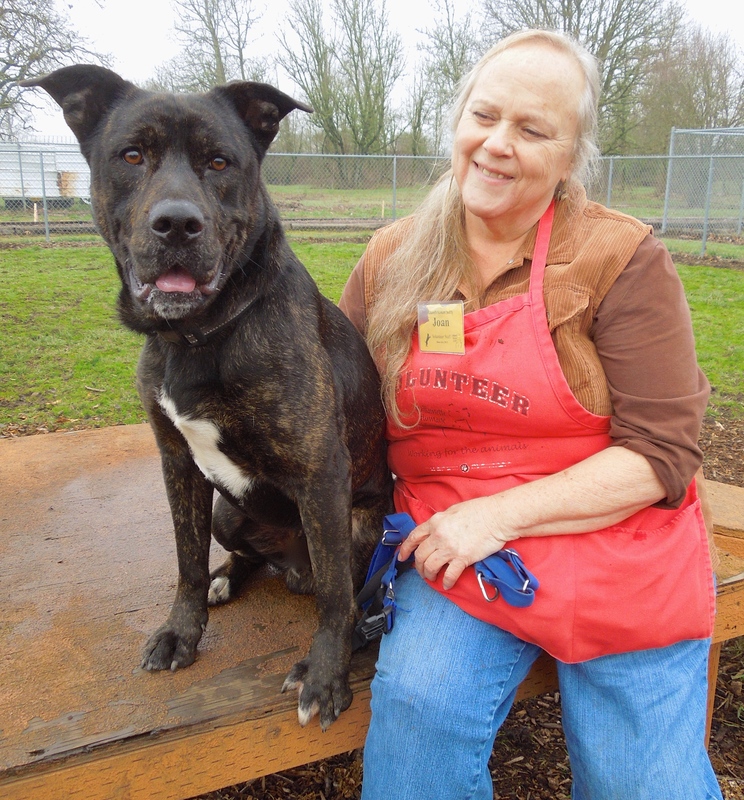 Duke does like to go on adventures with or without you, and can jump a six-foot fence, so secure and tall fencing is a must for this character. When he is excited, he can be mouthy, so he should go home with older kids. He is getting much better about this as volunteers work with him. He’ll make the right person a loyal, cheerful best friend. Here he is with volunteer Jeff. And still, Mommis waits for you. You will also remember Mommis from last week. Katalin took her out on Sunday and really enjoyed her. Mommis has become one of our long-term shelter dogs. We all love her and wish potential adopters would spend a little time with her so that they could see how sweet she really is. 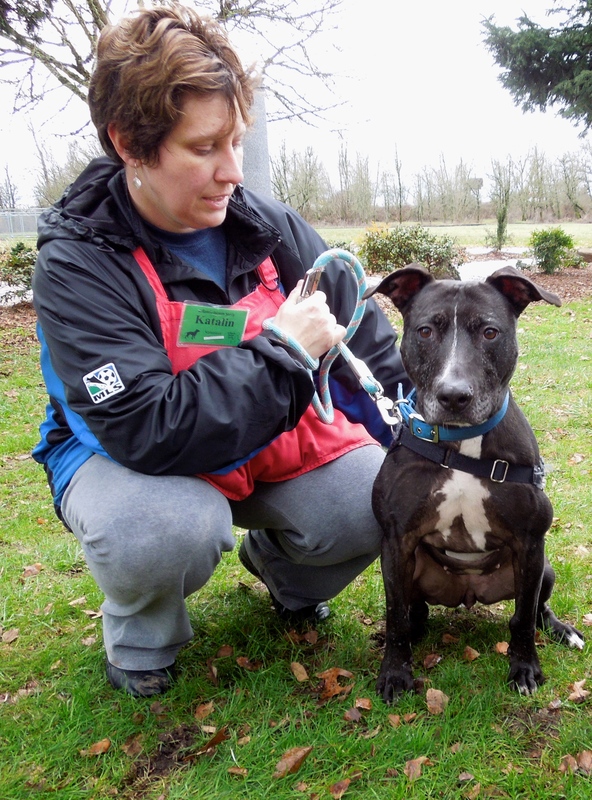 Mommis is a five-year-old Pit Bull Terrier mix and is embarrassed to admit that her kennel presentation is not good. 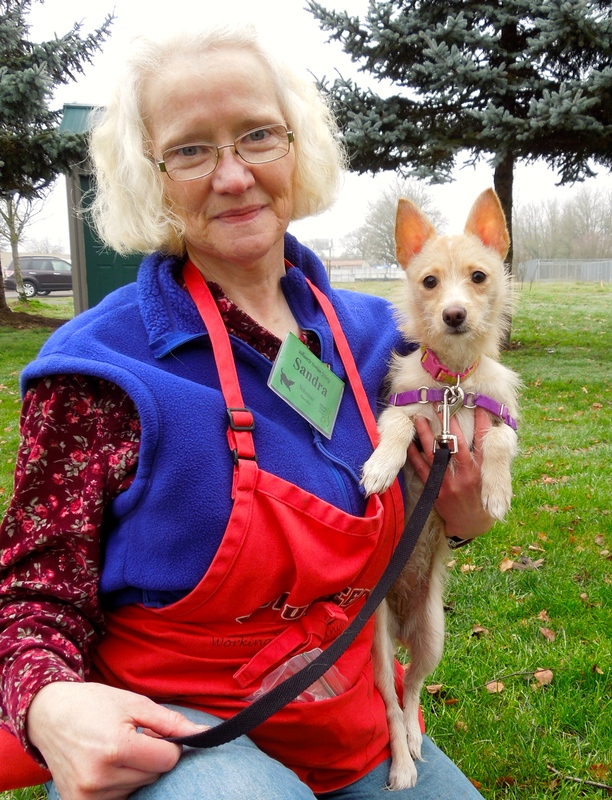 Potential adopters walk past her as she barks, trying to get their attention. But she has learned so much at the shelter! She politely sits and waits at doors until she is given permission to go out. She walks well on leash. She loves people and gives kisses. She would need to meet any dogs she would live with and would do very well as an only dog. We don’t know how she would do with cats. 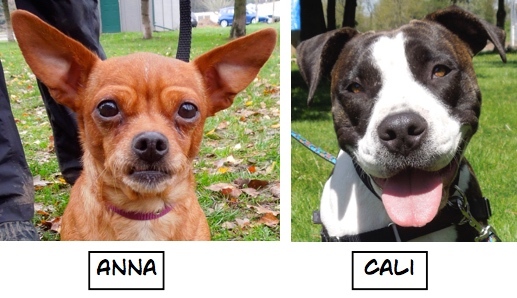 If you are looking for a dog to share your life, Mommis would like to meet you! As I wrote last week, you may find prettier girls, but you’ll not find a better friend! I’m a big, goofy boy waiting for a happy, active family! We’ll have a blast! I spent time with Hunter for the first time today when Joan and I took him out to the big yard to play. He arrived at WHS December 26th found as a stray, so we don’t know his story. 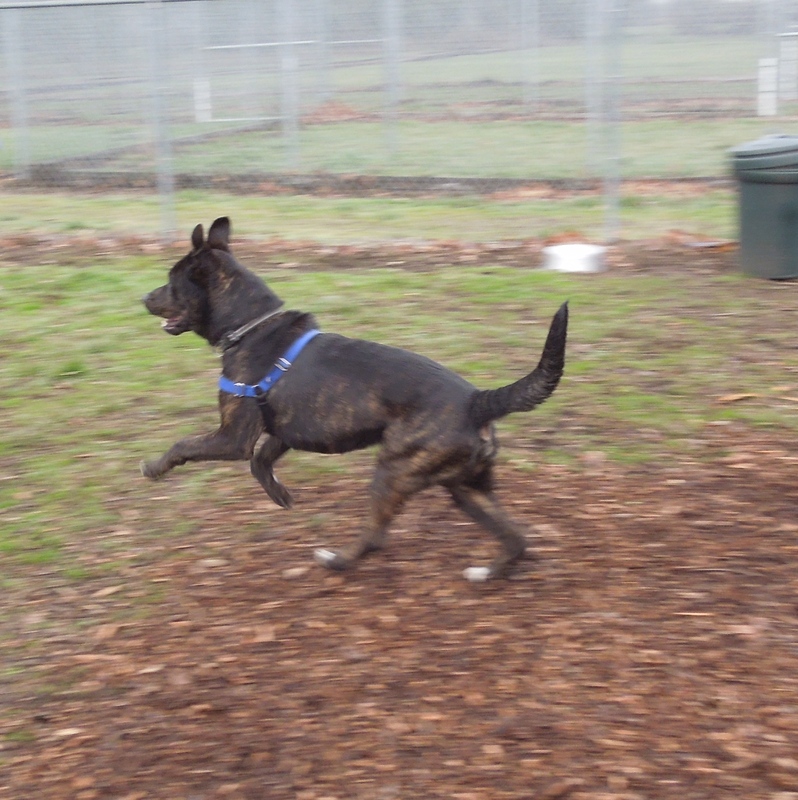 He is a Dutch Shepherd mix and is about a year old. He is a big, playful, affectionate giant who has had some training. He comes when called and sits in front of you. He takes treats gently. He isn’t a ball dog, but will run after it with great enthusiasm until a blowing leaf or other distraction grabs his attention in another direction. 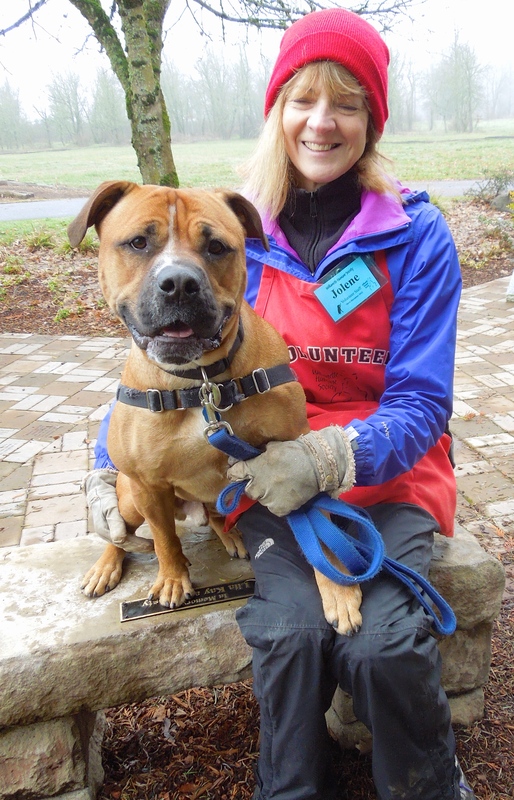 Hunter is eager to please and loves people. 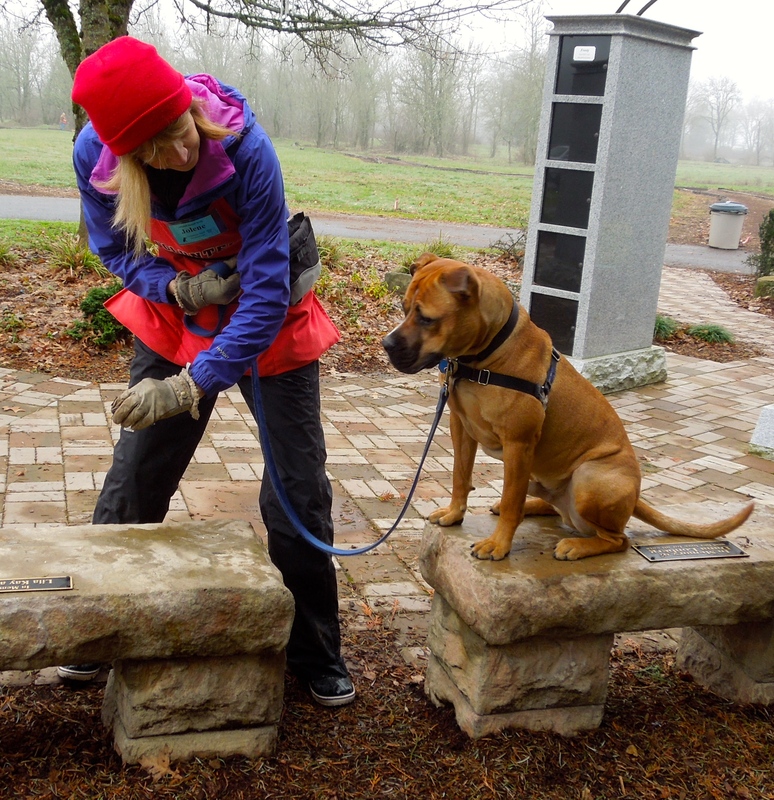 He doesn’t know a lot about walking on leash, but is improving rapidly with his three daily walks with volunteers. This big boy will make a wonderful partner for some lucky person or family. I hope you’ll get a sense of his happy personality in these pictures. Jolene is helping me work on my “leave it” skills. 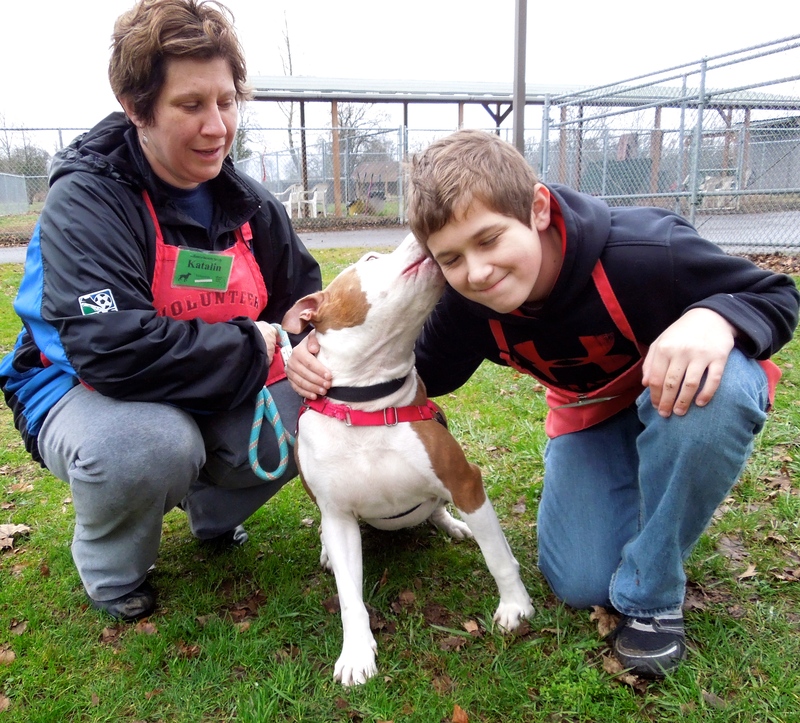 Today I happened to see volunteer Jolene working with Parker. 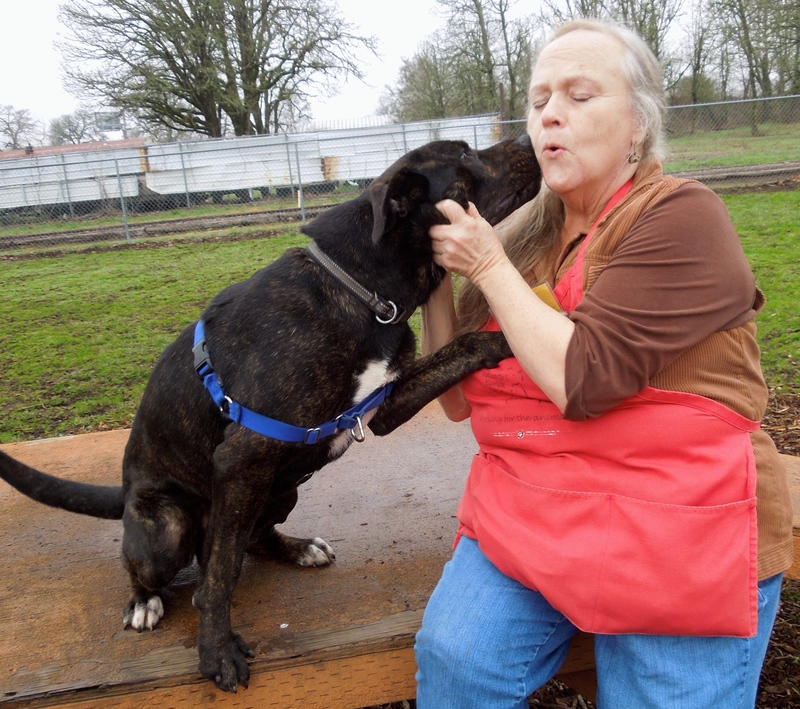 Another long-termer at the shelter, Parker loves to practice his skills. 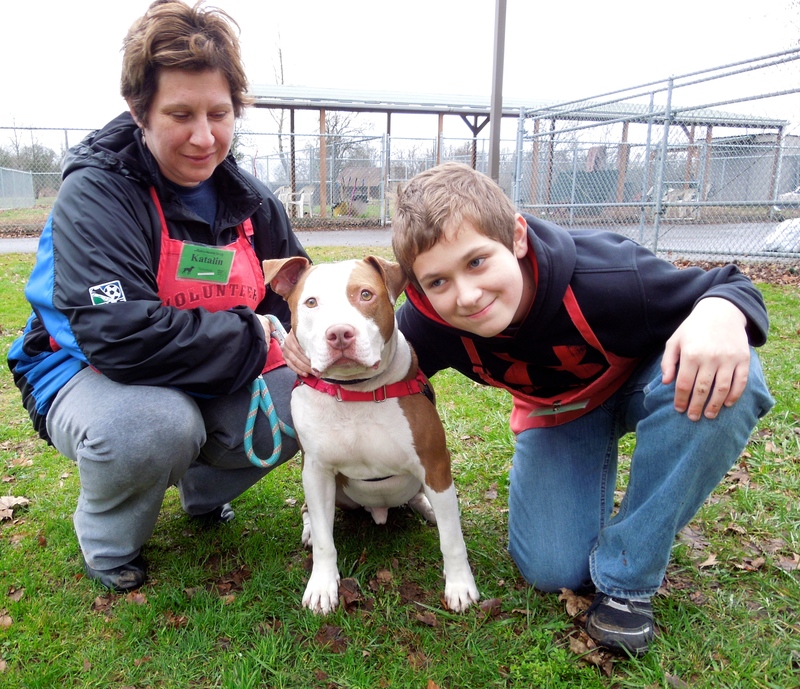 He is a two-year-old Pit Bull Terrier mix who has been waiting for his perfect fit of a family since July 26th. He will need an experienced person. He can be picky about his dog friends, so would need to meet any dog he might be living with. Parker would do best with someone who will continue the training he has been working on at WHS. He has a ton of energy, but will also settle down for quiet time with people. He has lots of fans at the shelter who are hoping this boy will find his forever home very soon. It was fun watching him with Jolene today. He wanted the treats soooo badly, but was doing his best to listen to instruction. Whew! After all that concentration and willpower to not jump for the treat, it’s nice to relax! I wasn’t surprised when I saw Emelynn out with Marley and I knew he’d be her pick this week. 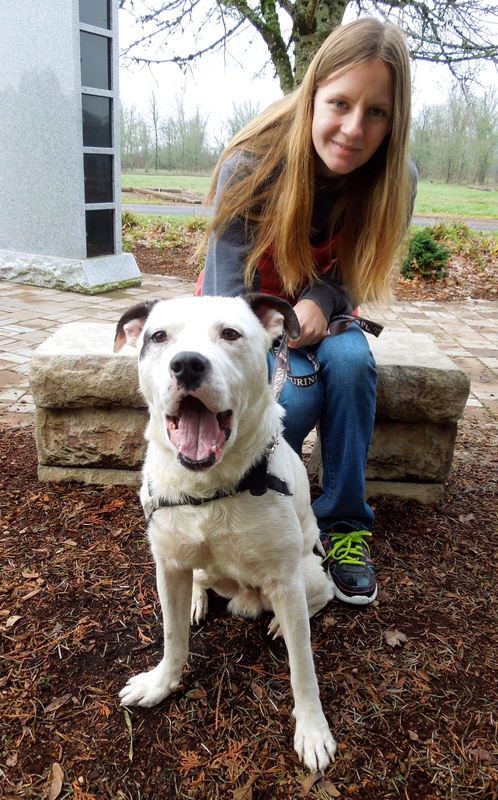 Marley is a five-year-old Pit Bull Terrier/Shepherd mix who is a sweet, gentle soul. He is house-trained and has a good history with children, though he’d like calm, kind kids, as he can feel overwhelmed by loud confusion. Marley is a ball dog! Emelynn reported that he races after a ball, returns and drops it at your feet. Marley is feeling a little stressed with the shelter environment and so we are really hoping he’ll soon be relaxing in a new loving forever home. This boy is special! There is a lucky family out there about to get a wonderful new best friend. Is it yours? I’m a youngster but I’m going to grow up! How cute is Sage?! 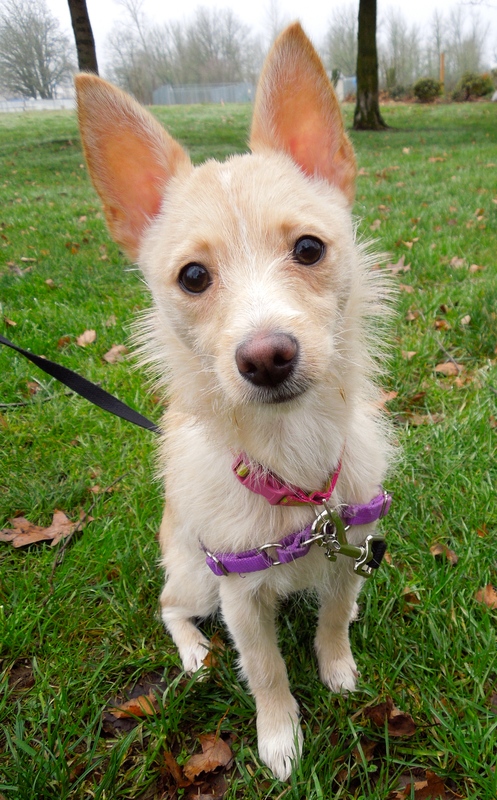 This six-month-old Terrier mix is a little shy, but oh so sweet! She knows how to sit when asked and took my hot dog bits politely. She will need to be in a family with respectful children because at only eight pounds, she is tiny! And she won’t be getting much bigger, either. Here she is with Sandra who fell for this little sweetie.